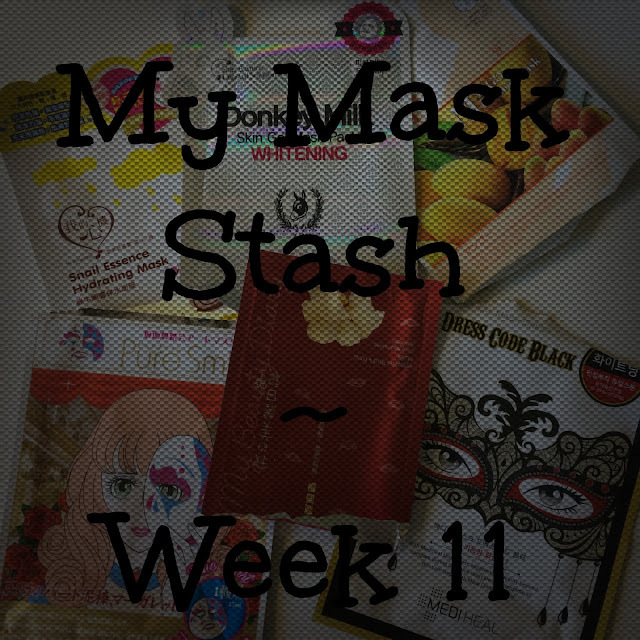 Last week I used my masks from the September Beauteque Mask Maven, so this week I'm continuing on with week 11 of My Mask Stash. 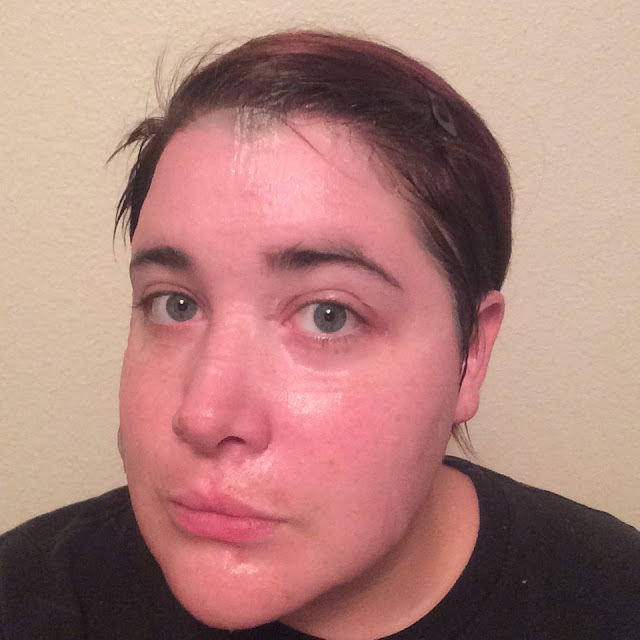 For reference; I am 29 years old and my skin is oily, acne prone, sensitive to alcohol, and dehydrated. 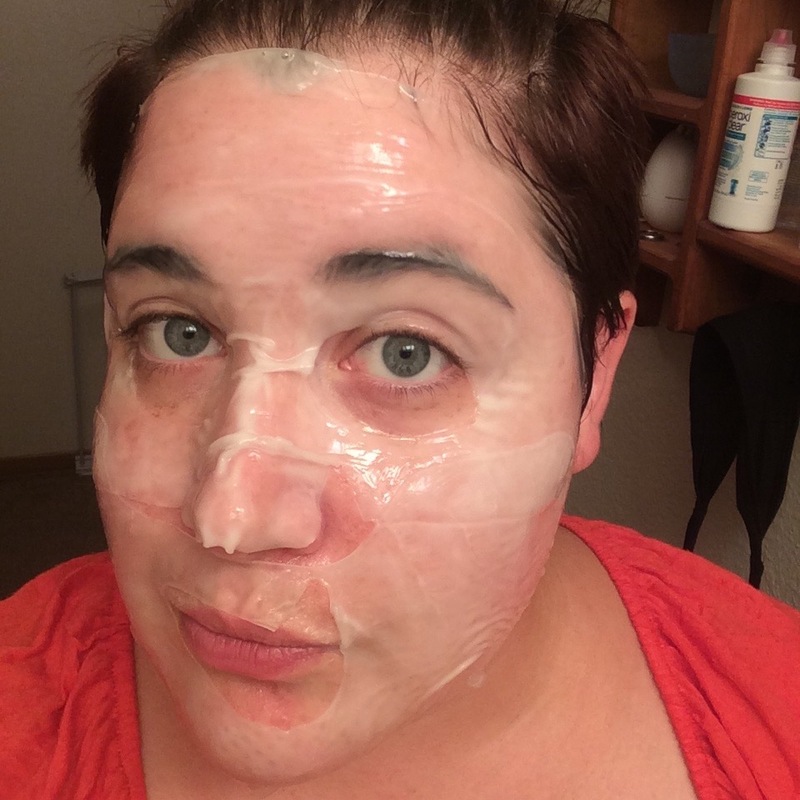 I have closed comedones around my chin and jawline, large pores, redness, and some aging concerns. This is my first morning mask of the week. 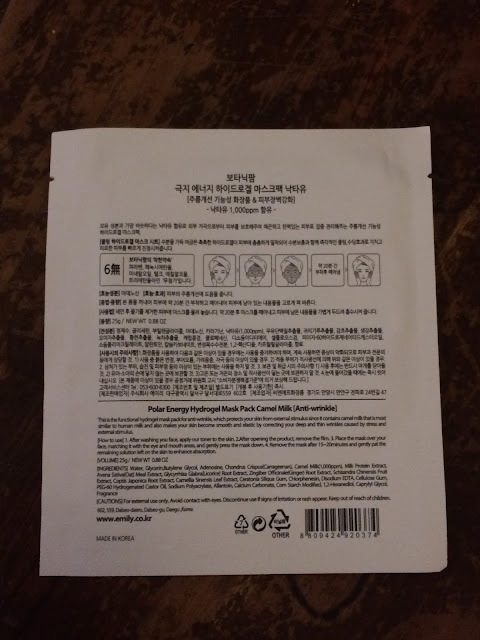 I used a wash-off mask the night before and it dried out my face more than expected. 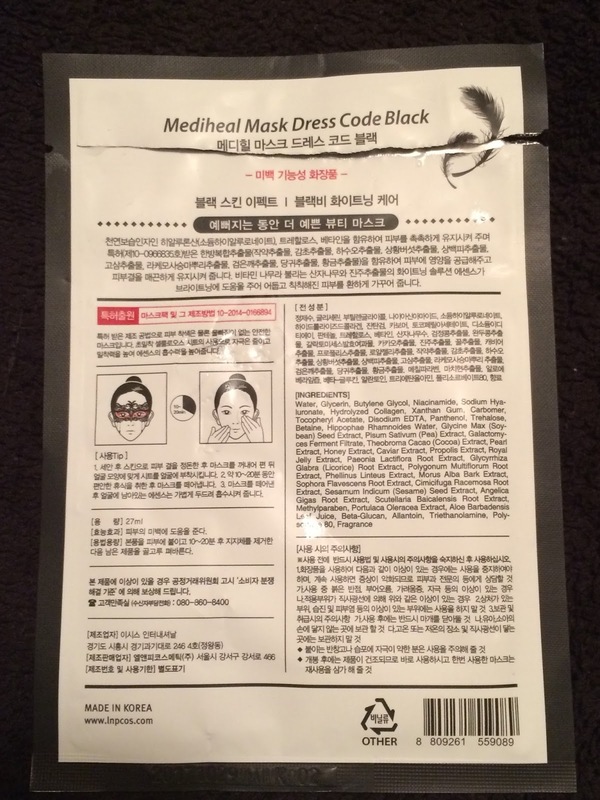 This mask fit really well, felt soothing and very comfortable, better than the few other varieties of MBD masks I've tried in the past. This mask provided enough hydration to last all day, did not leave my face feeling sticky or greasy. I skipped moisturizer after this and still did not get very oily throughout the day either. 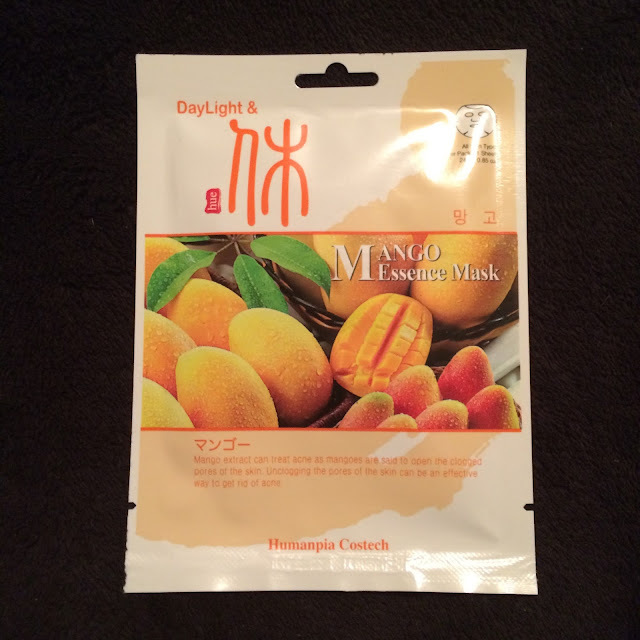 This mask smelled like mango, but with a fermented undertone. It was... different, but not bad! The fit of this mask wasn't great, but it wasn't the worst either. The material was comfortable and easy to work with, and I got it situated good enough after about a minute. 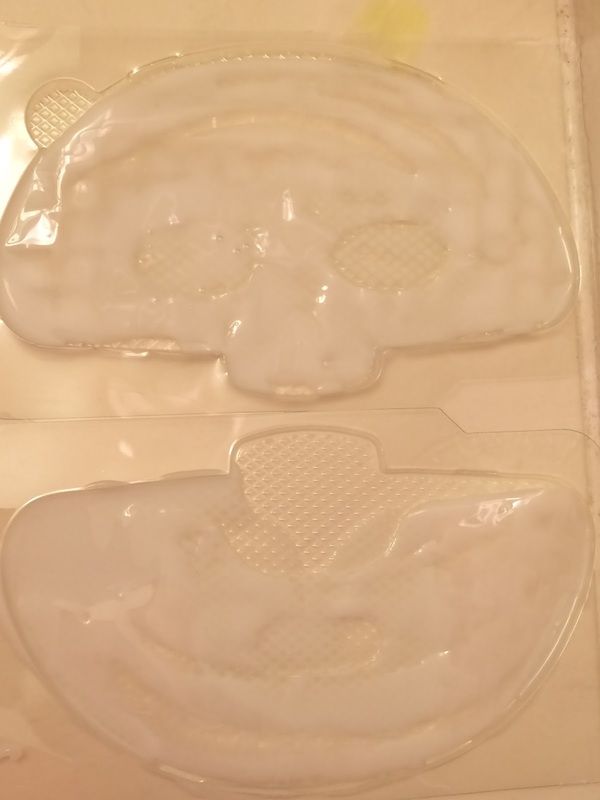 After I got this mask in place, however, it began to burn a little on my skin. I only left it on for about 15 minutes because the burning sensation, albeit dull and not painful, did not subside and I was worried about a reaction. My skin seemed fine after removal, but the real magic was what happened the next morning - when I noticed a lot of my whiteheads had dried up! Yay! Maybe the burning was a good sign (I can hope, right?). 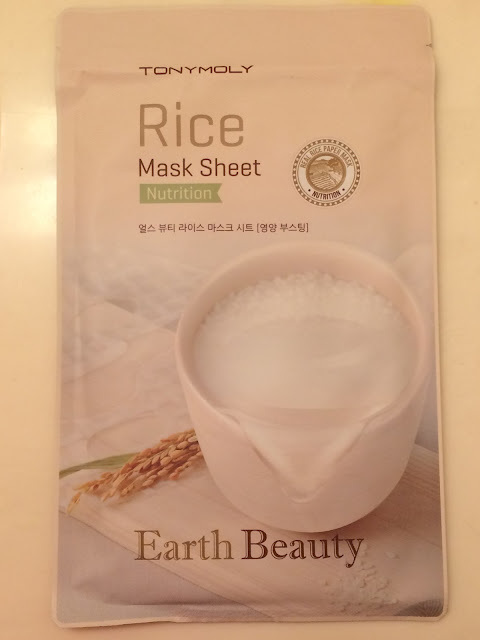 I enjoy putting this mask together - you separate the two pieces into different parts of the tray, add the liquid to each piece, spread it out to make sure all of the rice paper is covered, then very gently apply the pieces of rice paper to your face. It has a strong scent to it, but whatever the scent is doesn't bother me much. 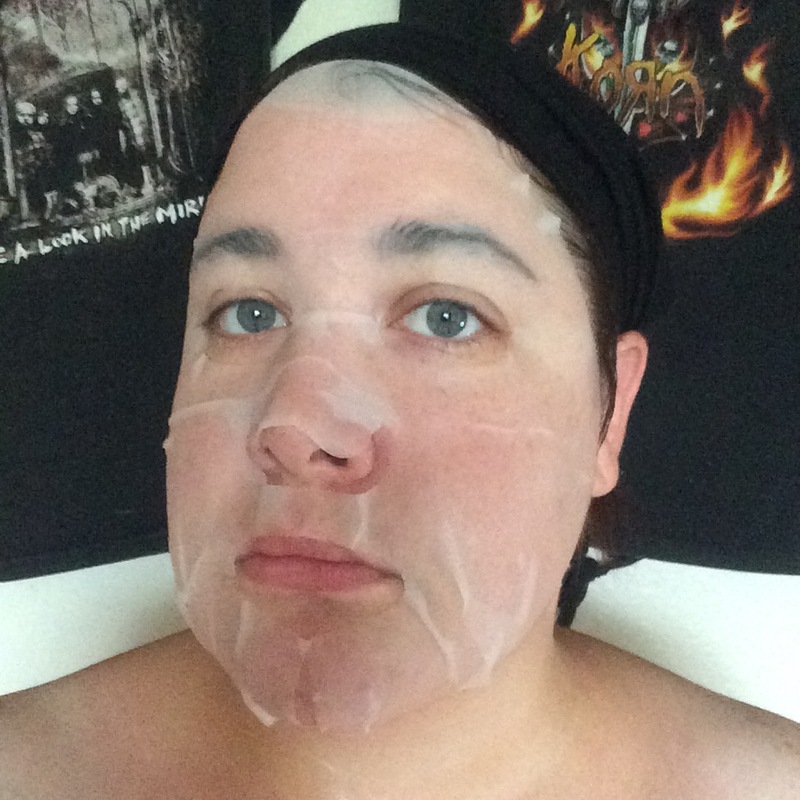 After removal my face is sticky and greasy feeling. 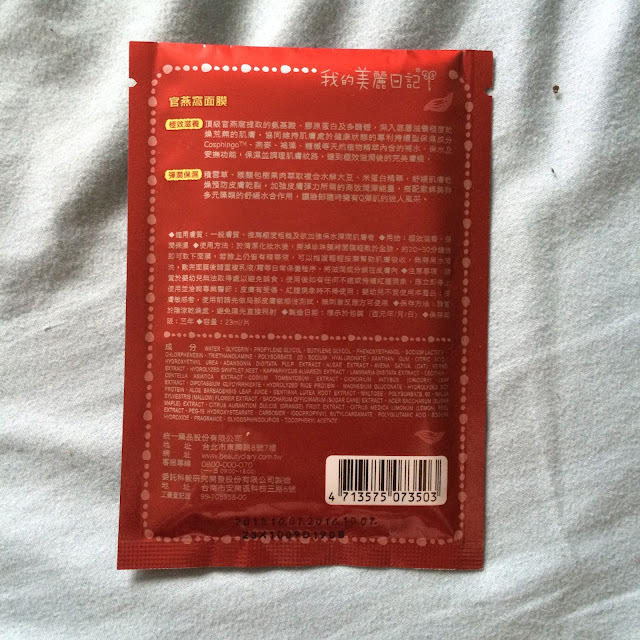 The stickiness subsides, but the greasy feeling lasted until I went to bed, and even a bit was left in the morning. 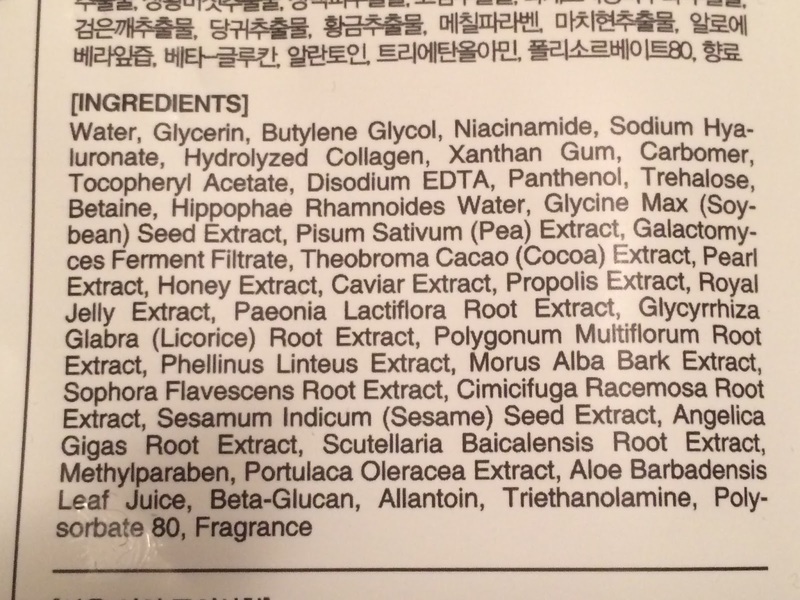 However, this mask does not clog my pores or cause any breakouts for me. It's so strange! 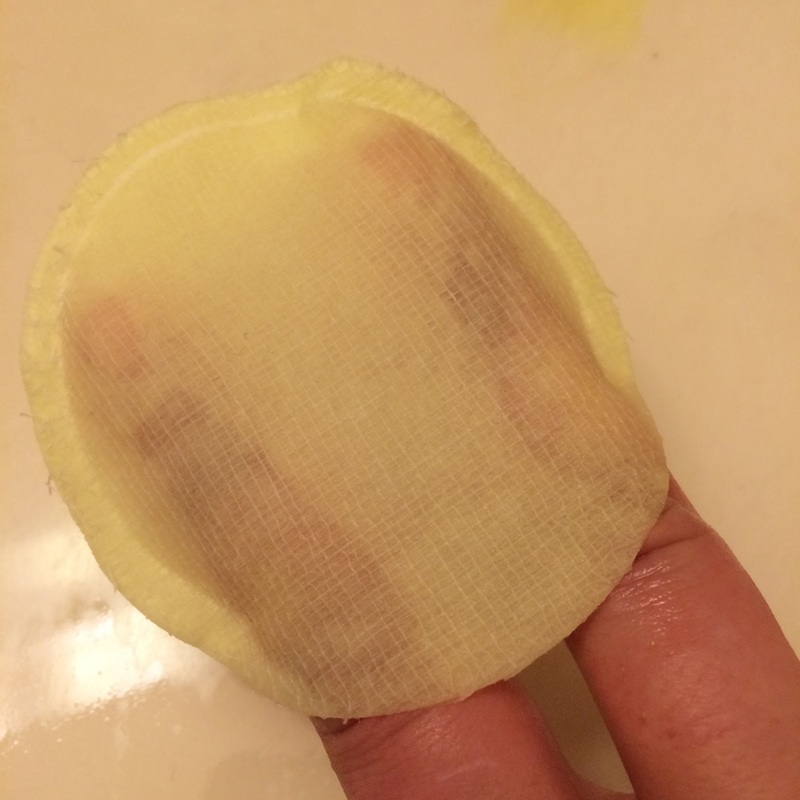 My skin was very hydrated and plump afterwards, and my skin for so soft the whole day after! 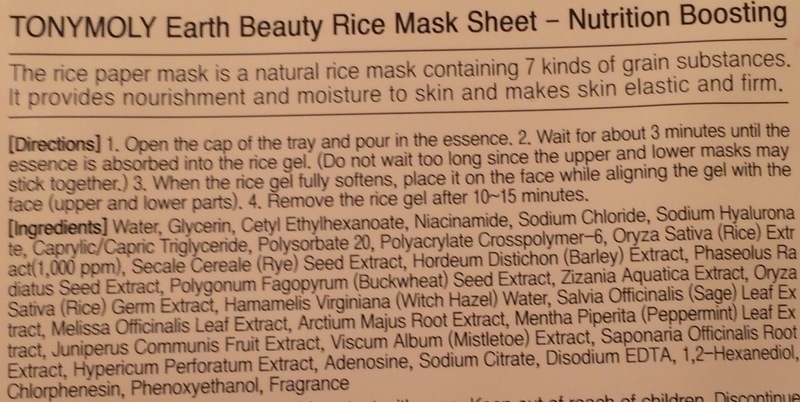 This mask is labeled for whitening (or brightening of hyperpigmentation and other dark spots) which is one reason I purchased it, but also because the ingredients list includes things like propolis, galactomyces, honey and royal jelly for soothing and healing, along with niacinamide and pearl for brightening. 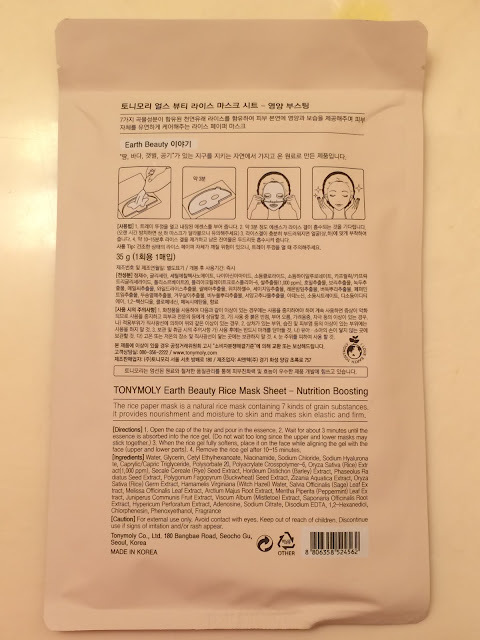 This mask doesn't have much of a scent, fits my face fairly well (it bunches a little around my mouth, but it lays pretty flat otherwise), and it looks so fun and pretty while wearing! 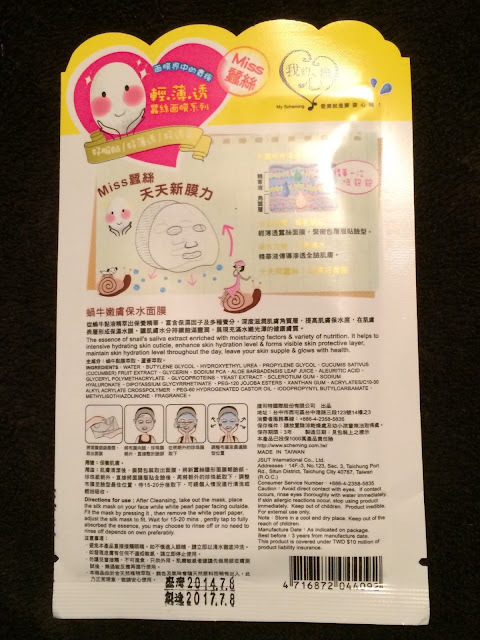 This mask really does do a lot for my acne - it soothes pain and eases away redness and inflammation. 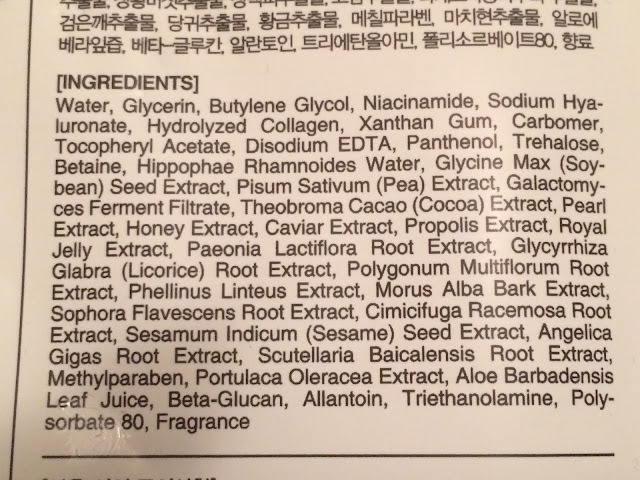 This is one mask to always have on hand. 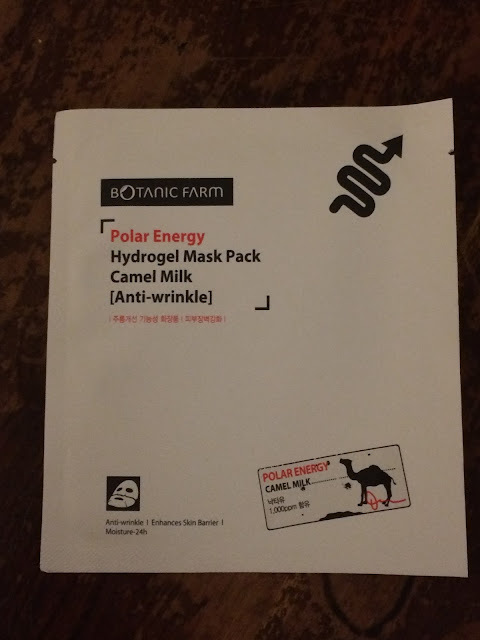 This mask I had saved for a while because I had such high hopes for it, camel milk sounded so lovely, and I love hydrogels too! 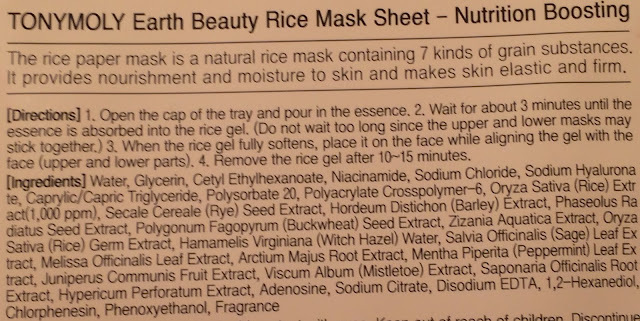 It had a bit of a scent, but not bad - and it even had extra essence in the package. My problems started after that... The mesh that held the gel together was exposed, so this mask felt rough and scratchy against my skin. 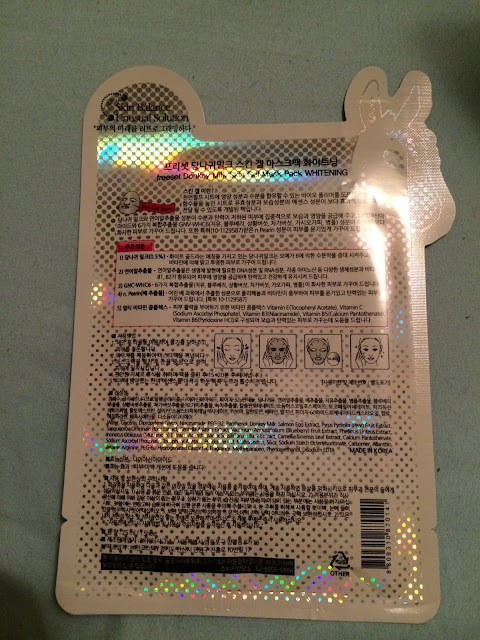 The mesh was also thick so it didn't form to my face well at all. It was tingly at first, but then became very cold, like my face was literally freezing. 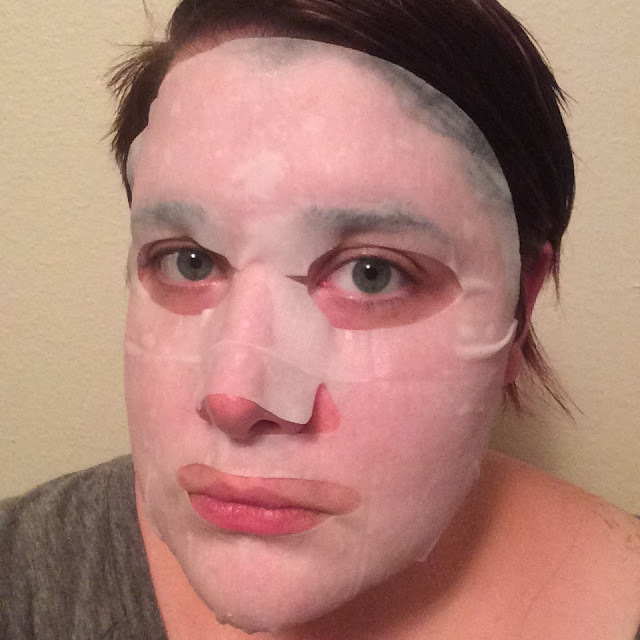 My face did not look or feel any different afterwards, so I put on a second mask. I have had such good results with the TonyMoly Rice masks, that I was very excited to try another type of mask with rice in it. 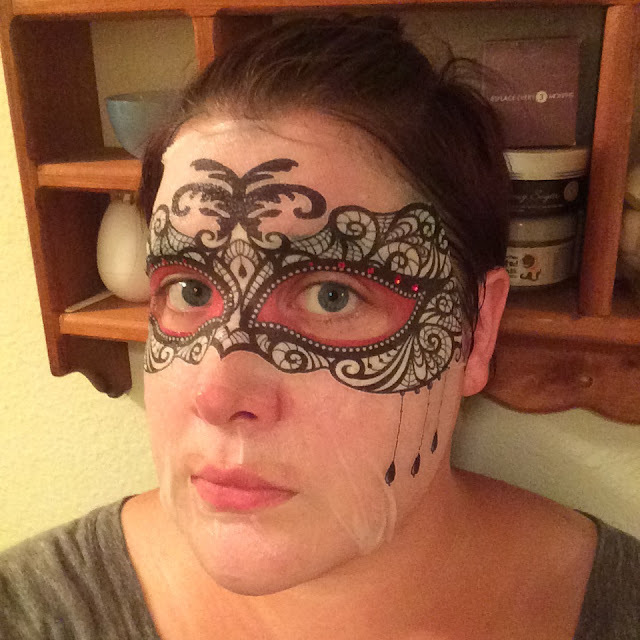 This was my second mask for this evening. This mask had a thicker lotion-like essence with a nice and light fresh scent. It is made from thick and comfy cotton, like a blanket for my face! 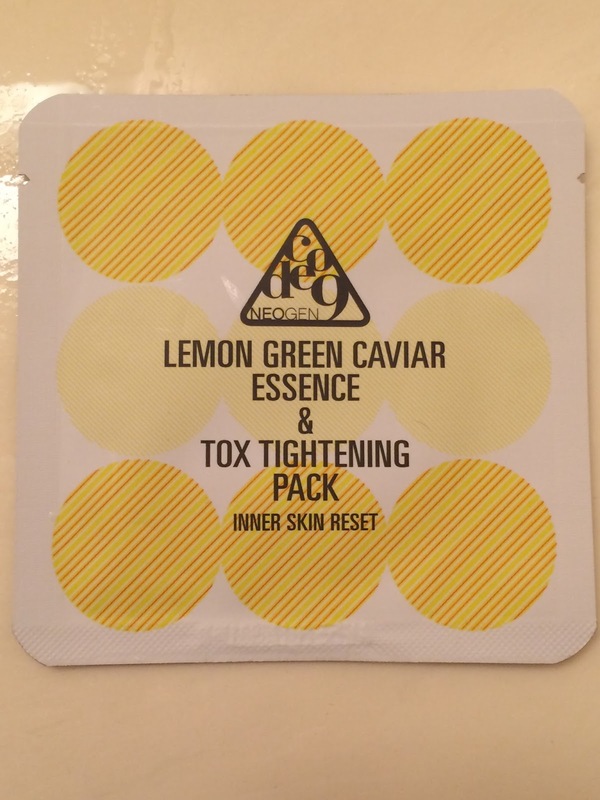 My face was plump, hydrated, and bright after use. 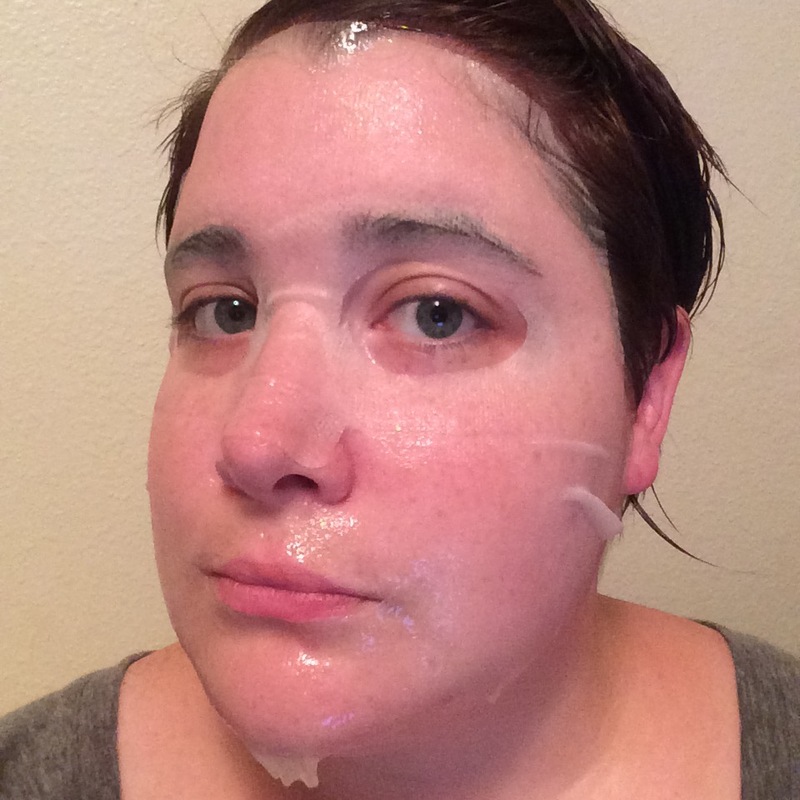 This was a morning "mask" that wasn't really a mask but was like a facial pack so I'm including it here. I love Neogen Code9 rounds, I reviewed the Gold Tox Tighteing Set last yet, and really enjoy those, so I was excited to use this. 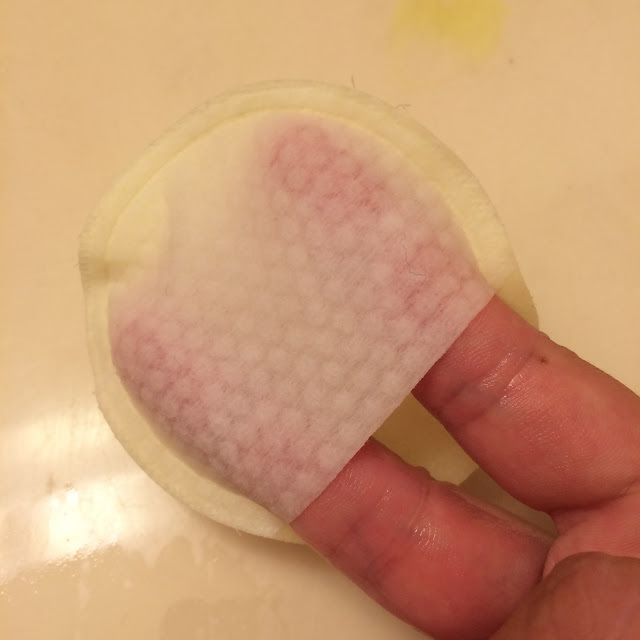 The pad had a slit in the middle so you could stick your fingers in to apply easier. One size was a bit rough to gently exfoliate your skin, and the other size was soft to help you massage the essence into your skin better. 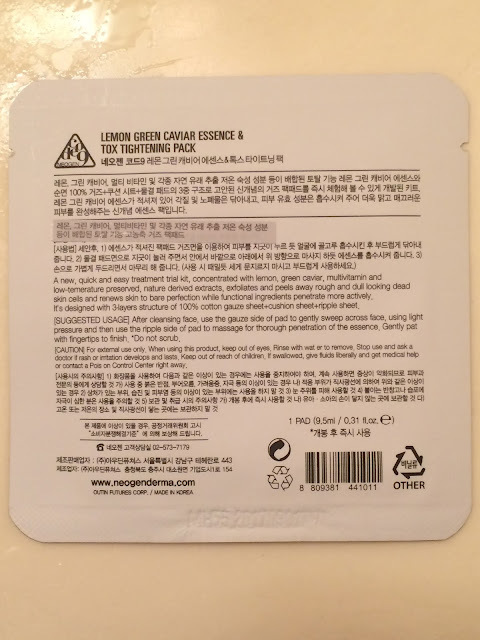 This had a light lemon scent that was refreshing, and my skin looked a bit brighter after use. 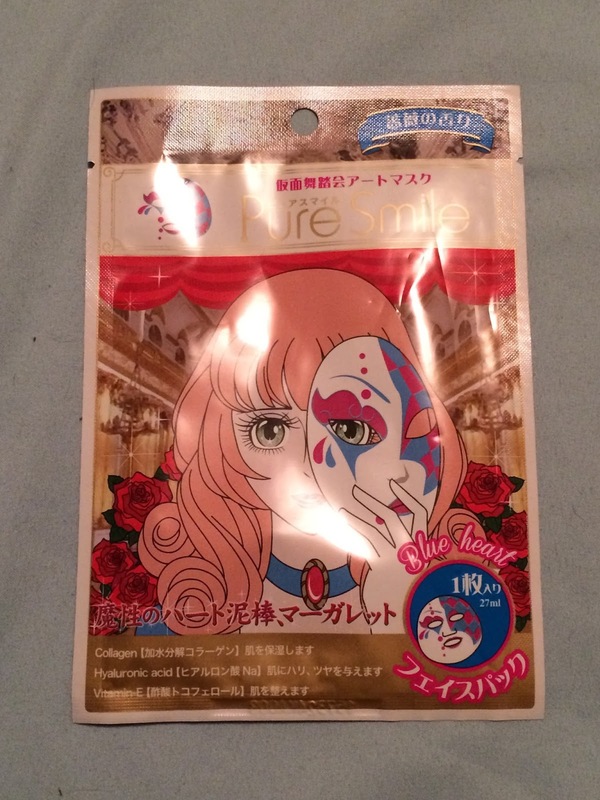 I haven't used PureSmile masks too often, I'd only previously received them in Memeboxes, and they were ok but never too special. This mask (like many in my stash) was a gift from a friend, and I was so excited to use it because of the cute print! This mask was a bit thicker than other PureSmile masks I've tried, but it still hugged my face very well. 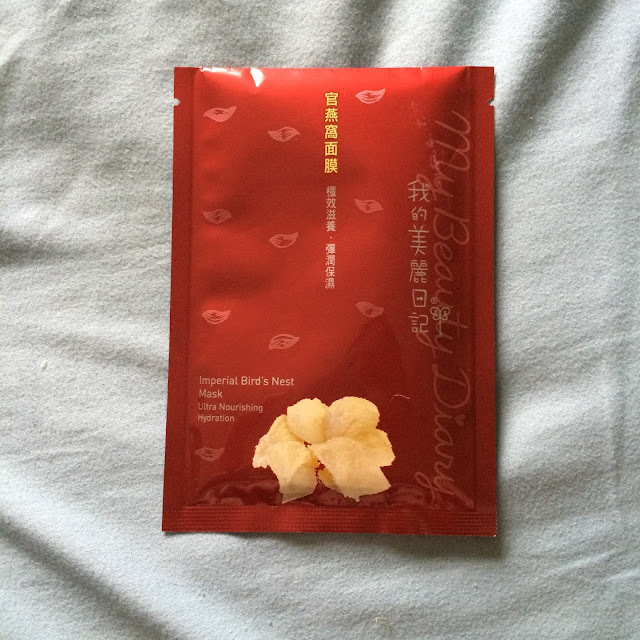 This mask had a light rosewater scent, and was very hydrating. It left my face plump and smooth but not sticky. I was saving this mask because I love silk masks and I love snail, so I wanted to use this when I felt like I could really relax and pamper my skin. 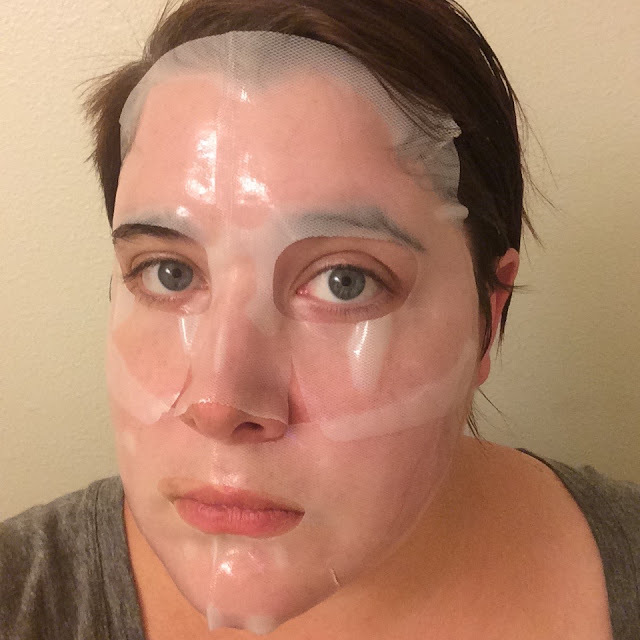 It fit perfectly, formed like a second skin onto my face, and didn't move at all! 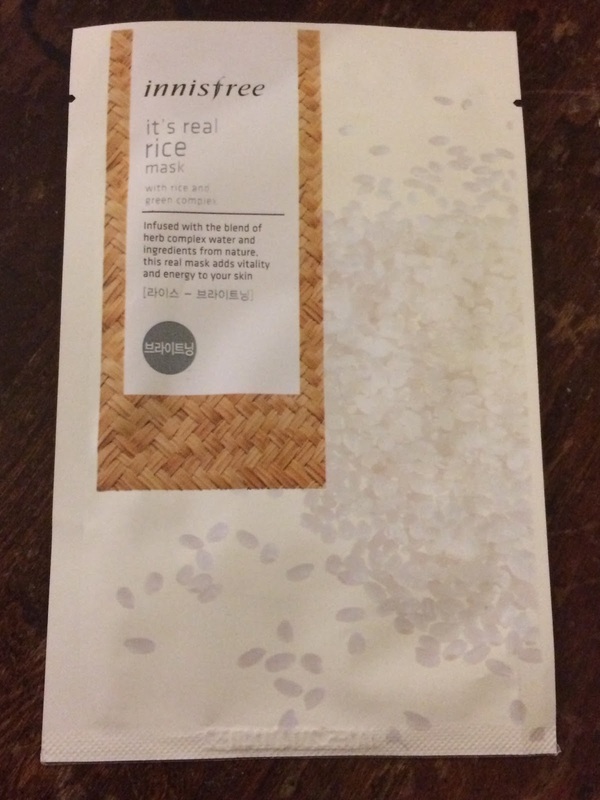 My skin looked soothed afterwards, but it didn't provide much moisture. 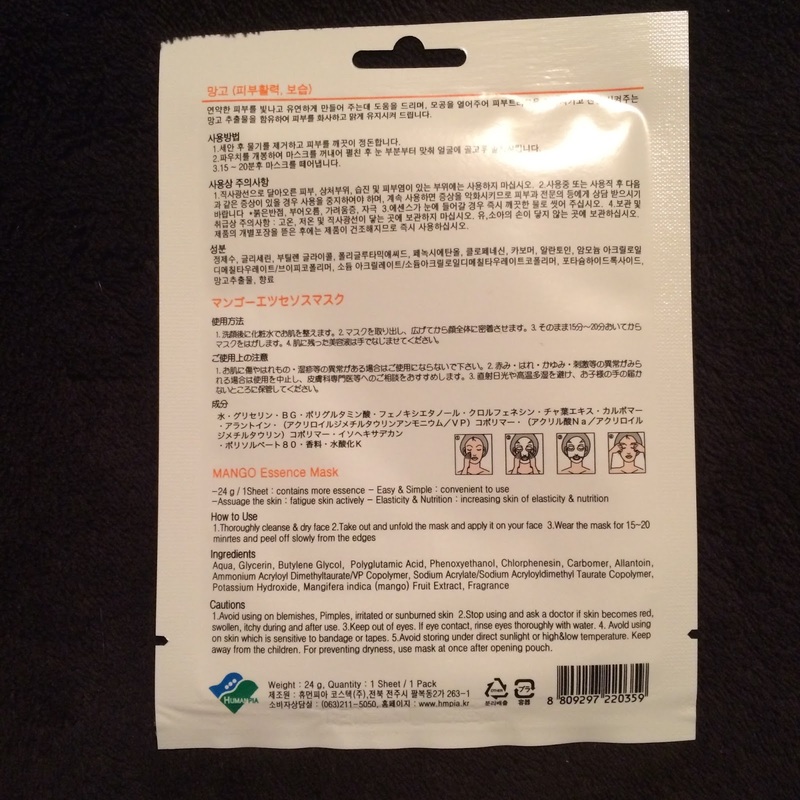 The next morning, my whiteheads were completely dried up! 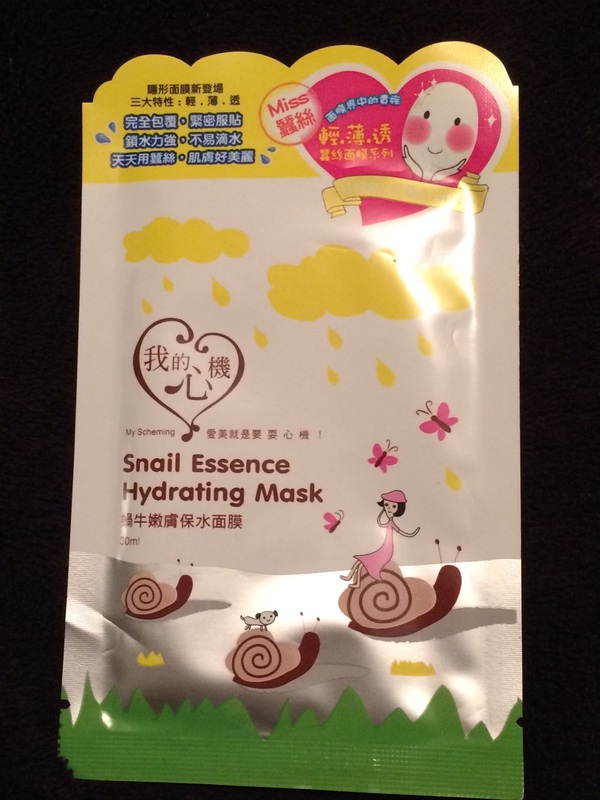 This mask may not pack much in the hydration department, but I'll take a healing snail mask any day - I'm definitely going to stock up on these. 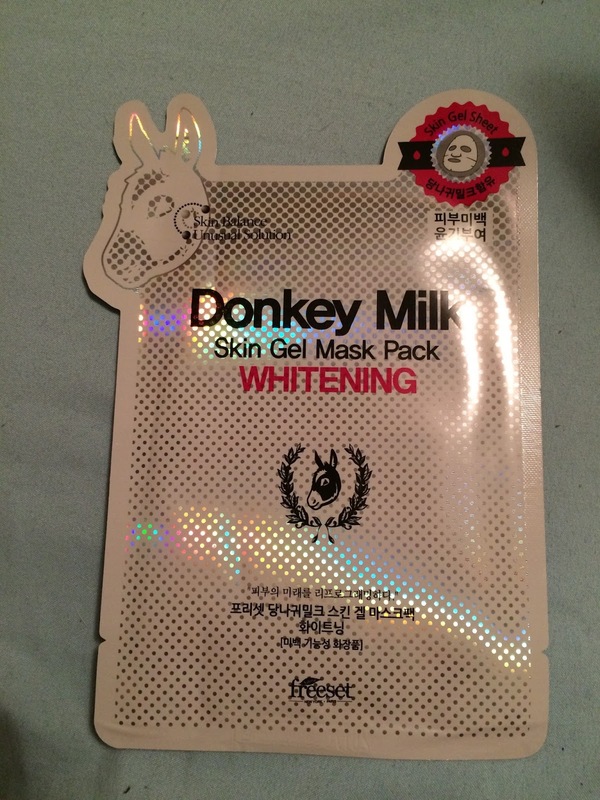 I absolutely love the Healing variety of this mask, but Whitening is pretty good too. 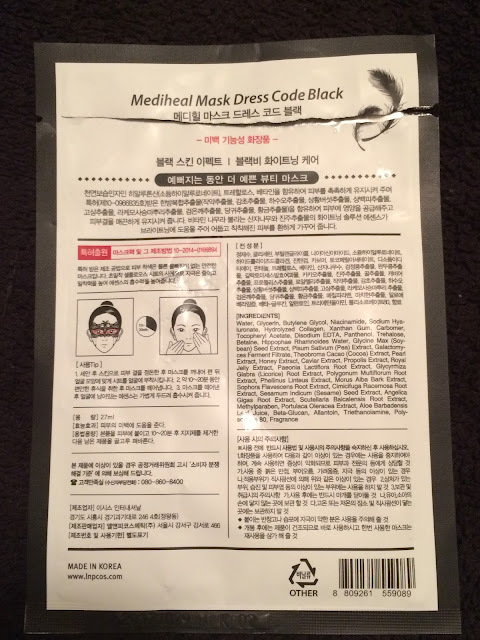 This mask doesn't have the herbal scent of the Healing mask, but it is the same gel material embedded in a porous cloth. 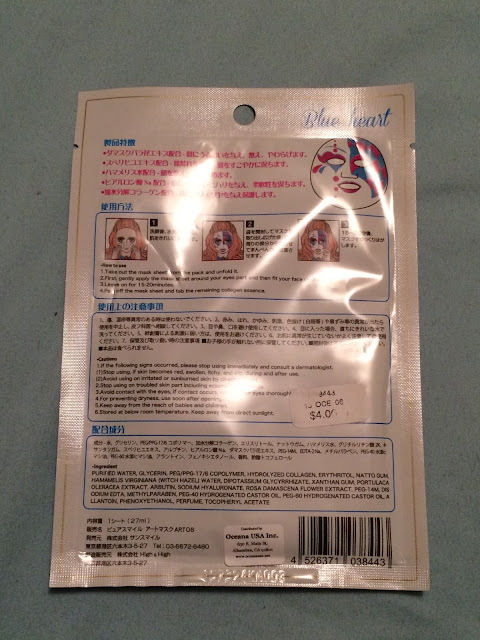 It feels cooling when applied to the skin, and forms to my face nicely. 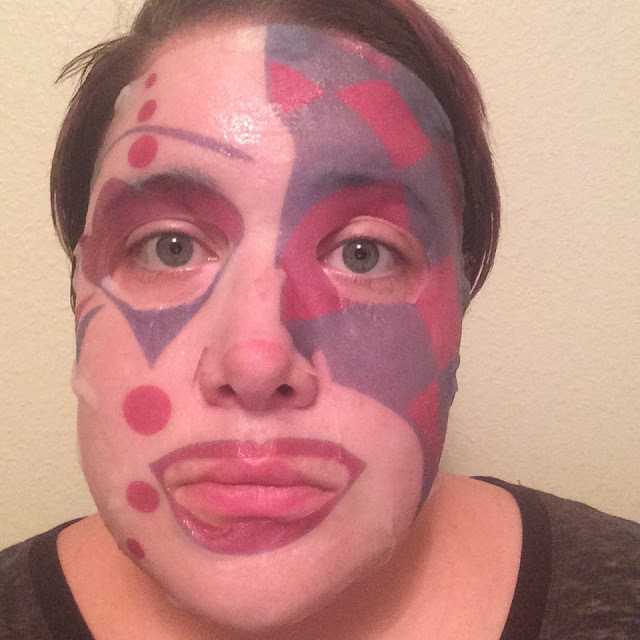 My face was very bright afterwards with no redness left over, but I do wish I could wear it a little more. 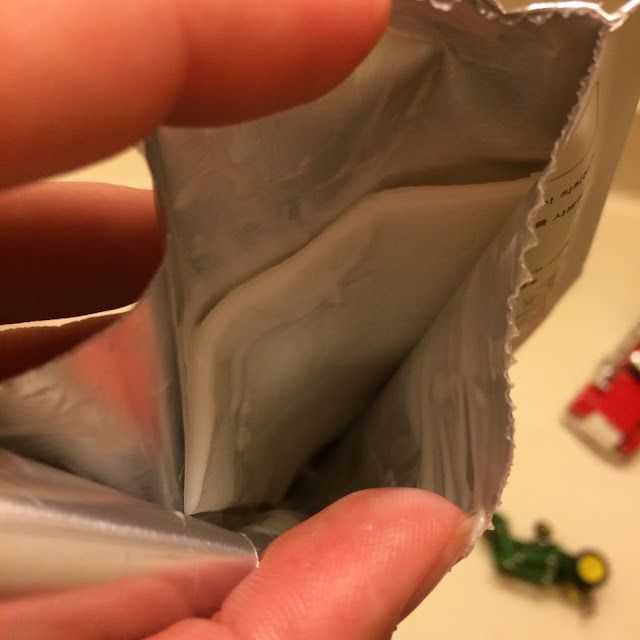 My face must have been dry because my face absorbed the melted gel within 20 minutes. 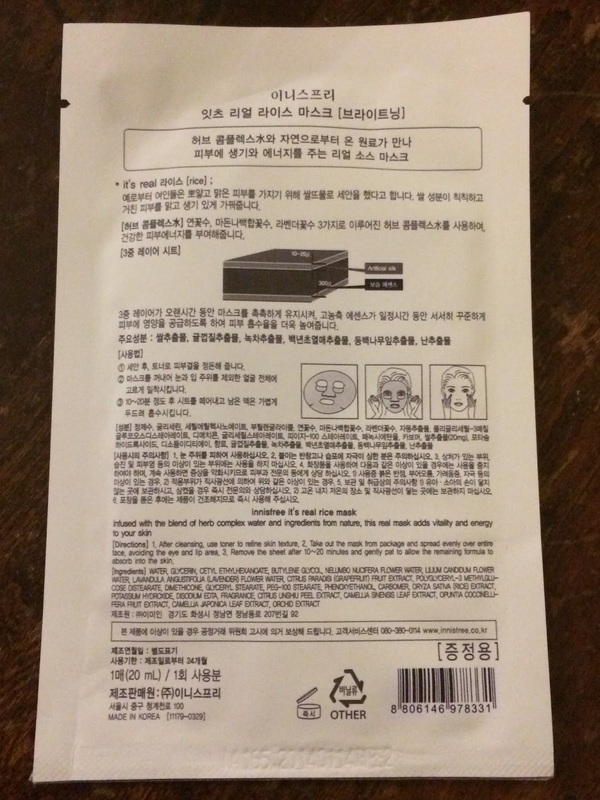 Next week I'm hoping to start incorporate reading from my moisture meter before and after using each mask. Find a full list of the masks I've reviews on my Sheet Mask Reviews page. I love this mask roundup! 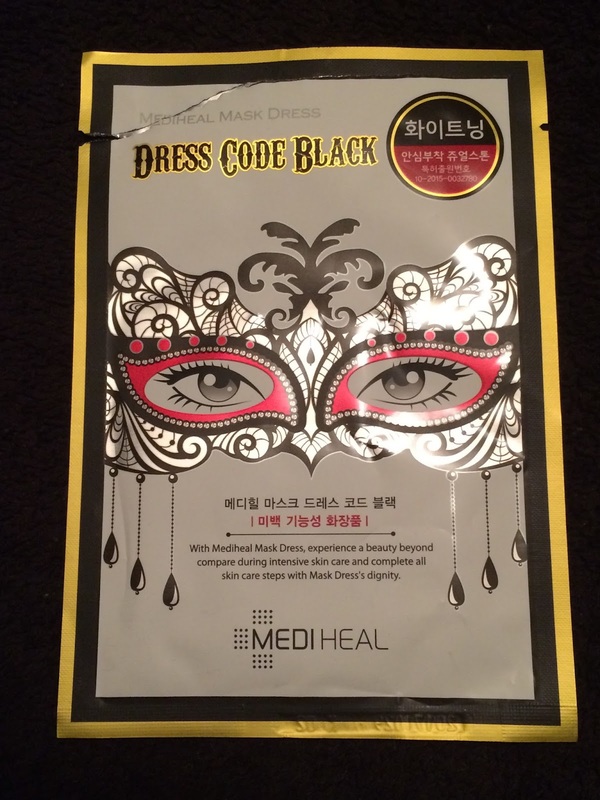 <3 Totally agree about the Mediheal Dress Codes, always have to have some on hand. 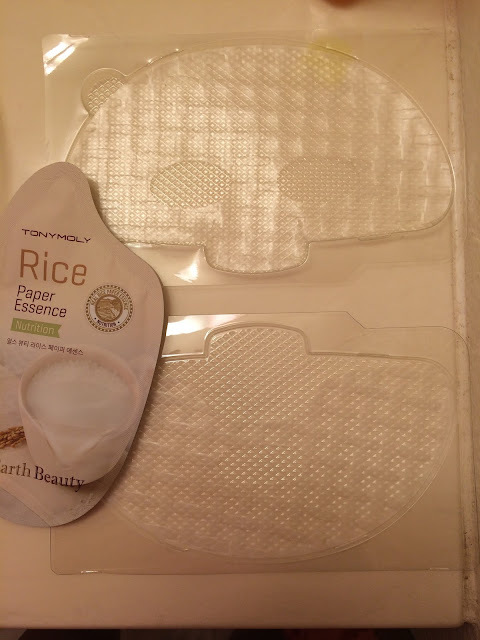 You and Unboxing Beauty have convinced me to try out the TM Rice masks!